It can inspire, it can tell a story, it can help you grow. It is the Shoppable video. By 2019, video will represent 80% of all internet traffic (Cisco). Clearly, video marketing is here to stay. The popularity of videos is reaching staggering proportions but the missing piece of the video marketing game is that not enough of the videos that are created are actionable, leaving significant potential revenue on the table. The commonly used term “Shoppable Video” has the potential to transform businesses, create new revenue opportunities, disrupt the state of digital marketing and equip retailers in staying ahead of the game in this Amazonian jungle. Video marketing spend is reaching exorbitant heights, but retailers are simply not getting the bang for their buck. 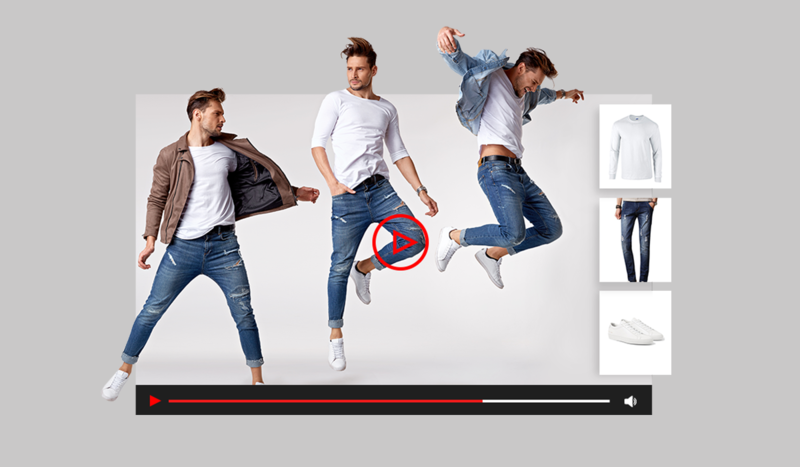 Converting existing video assets to include shoppable elements is simple enough but is rarely done today.The concept of shoppable videos have evolved over time with technology and can now close the gap between inspiration and purchase. With video marketing that yields measurable results, retailers now have the power to create more visual stories, and see their businesses grow as viewers turn into buyers. 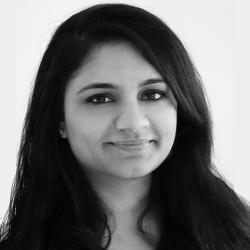 Vue.ai’s Shoppable Video solution – VueStudio is an advanced shoppable video technology solution for marketers and merchandisers, who want to stay ahead of the curve with visual stories that sell instantly. Using Vue.ai’s Image Recognition and Computer Vision technology, VueStudio can make every video shoppable, providing the flexibility to edit, create and design each video based on specific brand requirements. VueStudio lets retailers curate collections and create themed landing pages with video, those that can be syndicated across other channels as well. Retailers can also stay on top of video related analytics, with real-time tracking of video performance and measure ROI by the flexibility provided in slicing and dicing data as required. Studies show that 80% of online video ads are abandoned within the first half of the ad (Vindico). Clearly, there is only a narrow window (about 10 seconds) for retailers to capture viewers’ attention with actionable content. A major benefit of the shoppable video is that retailers have the opportunity to reach the shopper early on in the decision making process, capitalizing on the products they are interested in with added promptness. Shoppers are able to view what they like instantly, without being distracted away from the video screen, shortening the path to purchase. Targeted Video ads – Target shoppers with video ads that are shoppable, on the channels and sites that they prefer with the products they prefer. 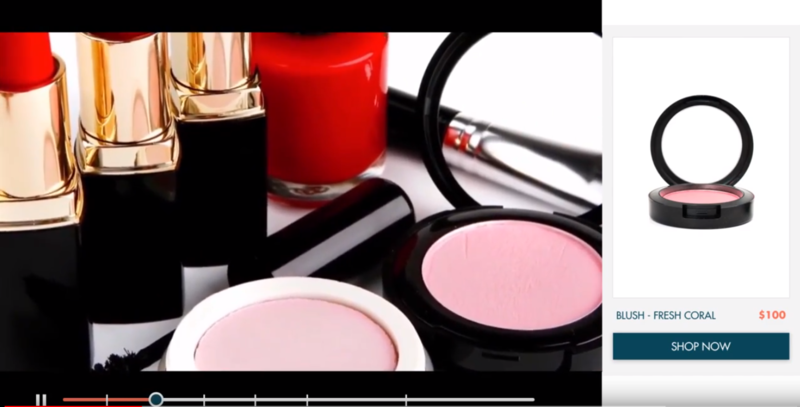 VueStudio makes the process of creating a shoppable video complete in 5 quick steps. Take a sneak peak! It starts with a simple upload of videos where Vue.ai’s technology transcodes and automatically adds adaptive bitrate streaming and uses Computer Vision to identify objects and their attributes from the video. Next, videos that are a part of a campaign can be chosen together and users can curate latest collections, or run event-based and season-based video marketing campaigns. VueStudio automatically links products to the video by analyzing each frame and pixel. Using the feature rich editor, users can highlight products of choice, choose from automatically detected frames & products or pick frames and corresponding products from custom catalogs. Users can also choose from a range of styles, layouts and publishing options – self-hosted landing page, embed code to put the shoppable widgets on your website or use the feature-rich and light-weight SDK for complete customizability of the shoppable videos on retailers site and app. The front end experience can also be customized through a variety of templates, interactions, and colors to match brand requirements. Once these quick decisions are made, the shoppable video is ready to be shared! 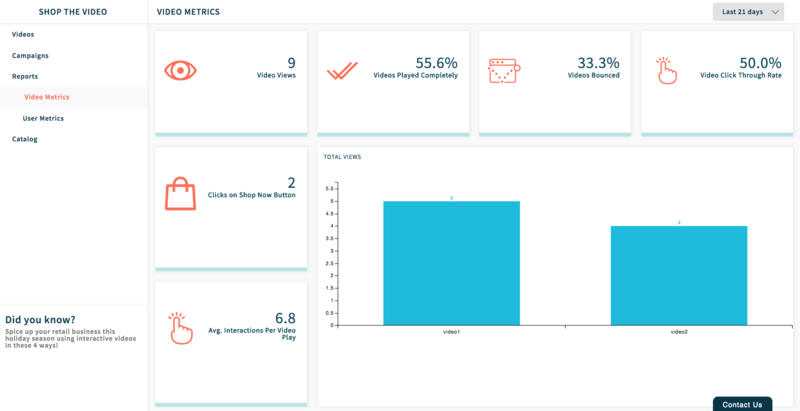 And that is not all – VueStudio’s advanced metrics dashboard tracks performance of videos in real-time. Apart from tracking specific metrics and measurable KPIs, users can also slice and dice data across multiple dimensions. The results are compelling and the narrative is clear. Shoppable videos are no longer just a novelty but an essential part of a marketers toolkit.